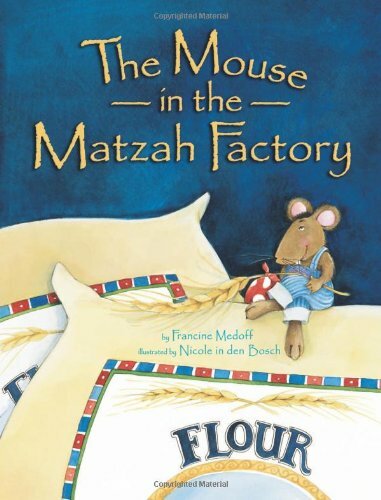 Expert Review of The Mouse in the Matzah Factory by Francine Medoff, one of our picks of the top Jewish books for kids! This book teaches a less familiar side of the Jewish holiday of Passover. Journey with a curious little mouse as he travels from a wheat field in the country to a big city factory where harvested wheat is baked into matzahs. Along the way, discover the importance of his role as observer or watcher of the very special process. Goldy Says: "I always loved this book. Great pics and great story."